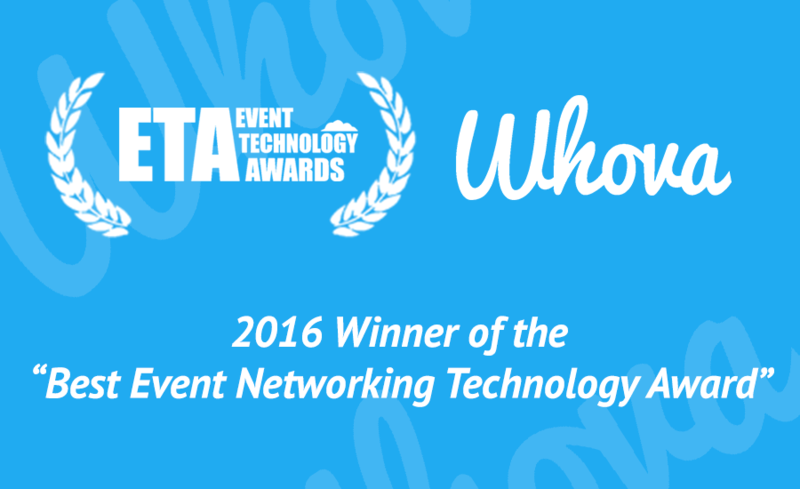 We are very honored to receive the 2016 Best Event Networking Technology Award at the Event Technology Awards held in London, UK! The Event Technology Awards is regarded throughout the world as the premier award for the event technology sector. With more than 500 event professionals in attendance celebrating the best technology in event industry and judges that consists of the most influential event technology leaders, we couldn’t be happier to be distinguished as a top industry innovator that allows event organizers to create the best networking experiences for their attendees and increase attendee retention. Attendees can plan whom to meet with and what to talk about ahead of your event by exploring the breakthrough SmartProfiles of fellow attendees. Attendees do not need to rely on luck to bump into influentials or people of interest at a large event. Organizers do not need to prepare any profiles or bios, even for speakers. We customize and populate profiles with Whova’s intelligent analytics and technology, and give both you and attendees the wide spectrum of flexibility and customization. Before or during an event, attendees can easily initiate conversation and schedule a personal meeting through one-on-one chatting on the Whova app without needing to know contact information. Attendees can also create a private group, share information, arrange ride sharing, and hang out together. Whova boosts offline networking at the event amongst attendees, vendors, speakers, and organizers. Attendees can scan their business card and conveniently exchange e-business cards with other attendees through the Whova app. In addition, they can digitalize any business cards they received and manage the contact information with Whova SmartProfiles. Specifically business conferences, expos, and job fairs love this feature. Allow your attendees to carpool and make transportation arrangements on the bulletin board. There are tons of other ways to utilize the bulletin board and make your event more engaging; vendors-attendees interactions, Q&A, lost & found, spontaneous activity scheduling, giveaways, recruiting, information sharing, and many more. After your event, attendees can still use Whova to connect with people they couldn’t meet during the event, or follow up with people they met. Continue interacting with your attendees, and grow your community through Whova.